HAS REBECCA ADLINGTON DONE WOMEN A DISSERVICE? Q: What did you make of Rebecca Adlington’s breakdown on I’m a Celebrity … Get Me Out of Here!? A: Many of us suspected that Rebecca Adlington was a pretty self-confident young woman who boasts an impressive record of achievements. She won two gold medals at the 2008 Olympic Games in the 400m and 800m, breaking a world record in the 800m final. At 24, she’s accomplished more than most athletes and retired, if not quite at the top of her game, not far past it. Her media-friendly persona is sure to guarantee her work for the foreseeable future and her latest gig on the itv show seems to be a good launchpad. So I’d imagined she was someone who was comfortable in her own body. She’s not there to be admired for how she looks, but how she performs. Q: So you could say Adlington has done a disservice to those women who have been arguing for years that we place too much emphasis on physical beauty. A: And they’d also argue that it’s a particular conception of physical beauty as defined by men. Q: Has she set back the feminist cause? A: It’s difficult to be critical when Becky is so obviously upset, but I guess she has disappointed many women. When a woman known for her outstanding achievements dissolves into tears and complains about another woman whose good looks are admired by men, it reminds us just how much importance we attach to superficial appearances. Even a high-achiever who we had all imagined could shrug off her mean-spirited critics as a bunch of jealous no-hopers, has succumbed to what the writer Naomi Wolf once called The Beauty Myth. 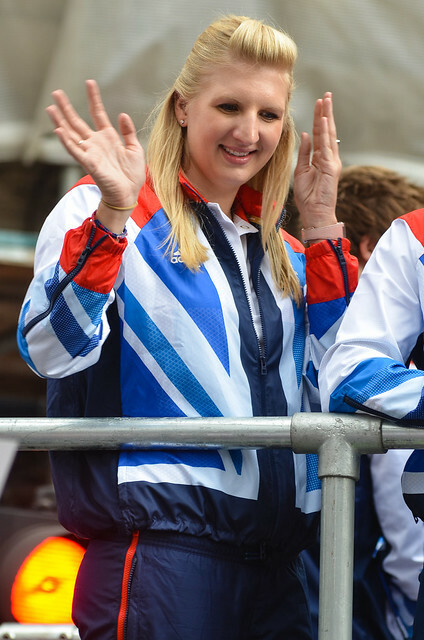 This entry was posted in Uncategorized and tagged Beauty myth, Body dissatisfaction, I'm a Celebrity ... Get Me Out of Here!, Rebecca Adlington on 22 November 2013 by .